Save 50% Off Your Entire Weddinig Package! Save 50% & Get 4 Free Gifts! NOW OVER 500 5 STAR REVIEWS IN PAST 2 YEARS! MORE THAN ANY FLORIST NATIONWIDE! WE ARE #1! FOUND MY DREAM WEDDING FLORIST ON BRIDAL CHANNEL! 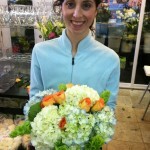 This florist is a great resource! They were so flexible and easy to work with. They let me pick whatever I wanted and let me work with the budget. They let me provide my own vases. I loved how they let me pick up the flowers myself and preview the arrangements the day before to make sure that they were exactly what I wanted and they even changed things on the spot for me. Everything was gorgeous. I could not be happier. Jim and company came highly recommended by my wedding coordinator. We were so pleased with the total experience, starting with the store, it was big very clean, and loaded with arrangements. When i sat down to look at photos i recognized my friends pictures who recommended me. I was so excited when i found out that were four free gifts available!! The most important thing was that i was not rushed. Jim and the designer took thier time in showing me all the options that were available. Having the ability to make any changes was very reassuring. I was very excited about coming back for a final review as this gives me and my mom some time to think about all the things that come up at the last minute. I was really impressed with how they mentioned all sorts of ways we could save money, as i am on a tight budget. The free vase rental saved me almost $300!! Knowing they were going to deliver and set everything up was a big relief! All through the process we were given a nice choice of starbucks, bottled water and soda. The crowning touch was when i saw the plaque that said they won “best of florist” for 2013. They are very modest and humble people who really have your best interest at heart. Booking my flowers is a big thing and they made this such a wonderful experience. Thank you jim and linda for making this so easy and fun, and saving me so much money. We had an amazing time choosing our wedding flowers. Jim was kind, pleasant and seemed to genuinely care about my wedding. Of all the florists i had been he seemed to be the only one who really took a sincere interest in my needs. He took the time to show me all my choices and options and explain everything to me. Wow! What a wonderful guy! Now when lindaa came out with a sample center peice i was astonished at how beautiful it looked. There were three other brides there ordering their flowers ( that’s always a good sign, a busy shop!) So i knew i was in the right place. The quote was so low about twelve hundred dollars less than the cheapest quote i had gotten and the flowers were twice as nice! I made my decision and booked on the spot. Now i know why they won florist of the year. He gave me a free sample bouquet and hugged me and i really felt a great connection. By the way, the store is beautiful, and by far had the biggest selection of flowers i had seen anywhere. I highly recommend them, make them your one and only stop! I had my wedding in November 2013 at La Costa Resort and Spa. The venue is huge and Freddie was able to deliver. 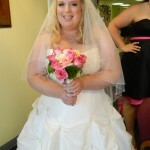 He was able to get the flowers I wanted, within the budget I needed (he suggested some beautiful ‘filler flowers’ that did not look filler to add/compliment to the expensive flowers I wanted and had in my wedding), and was flexible with my order just like he promised from the start. I had my wedding in Carlsbad and yes drove all the way out to Newport because his price was competitive. Several of my vendors commented how big and beautiful the flowers in my hair and my bridesmaids hair were-so beyond pleased with the flower hair pieces. The flowers lasted all day and did not wilt (as some other florists tried to deter me from real flowers in our hair). 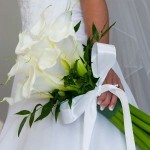 If you are looking for a quality, affordable, and fun florist then you have found one with Freddie. I only wished I lived closer to the store because then I would be coming by more often to contribute more often to this great business. Best of luck to you Freddie. Thanks for making our wedding beautiful! GREAT STORY MUST READ VERY PLEASED BRIDE! I found 800ROSEBIG at my best friends wedding in Palm Springs. The flowers were GORGEOUS and she kept going on and on about how affordable they were and about how much she saved! So when it came to my wedding in Santa Barbara I first checked out all of the local flowers shops. Unfortunately it was nothing more than a waste of my time, although what they did have in their shops was pretty, they had a very small inventory. They were all also extremely high priced, over my budget and no one was willing to make me samples (probably because they didn’t even have what I wanted in stock)!!!!! I then remembered 800ROSEBIG!! They offered me nicer and waaay bigger arrangements than the other places for about ½ of what the local shops quoted me. SO GLAD I FOUND 800ROSEBIG & FREDDY! 8 months ago-I found 800ROSEBIG at my best friends wedding in Palm Springs. The flowers were GORGEOUS and she kept going on and on about how affordable they were and about how much she saved! So when it came to my wedding in Santa Barbara I first checked out all of the local flowers shops. Unfortunately it was nothing more than a waste of my time, although what they did have in their shops was pretty, they had a very small inventory. They were all also extremely high priced, over my budget and no one was willing to make me samples (probably because they didn’t even have what I wanted in stock)!!!!! I then remembered 800ROSEBIG!! They offered me nicer and waaay bigger arrangements than the other places for about ½ of what the local shops quoted me. I came across this florist when my original florist flaked out at the last minute leaving me less than 2 weeks to find a replacement. I contacted Freddie and told him my situation. He said to come down to the shop and he would take care of me. He was not only able to pull this off in less than 2 weeks, but he provided us with much higher quality bouquets and centerpieces that we ever thought possible for the money. He listened to my requests and made some wonderful suggestions on how to make everything even that much nicer. My flowers were a huge part of making my wedding “classy and elegant.” I look forward to using him again and will recommend them to everyone!! Cindy M.
my wedding flowers were outstanding! 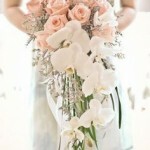 They created a fantastic array of flowers for my bouquet, roses orchids fresia, everybody loved it. I really glad I did my homework a found these guys, besides doing a great job, Linda was so helpful and I could tell she really cared. The price, you cant get a better deal. we got free gifts and sample bouquet that lasted 2 weeks, saved over 950.00. if you saw their new shop its huge, go see them! 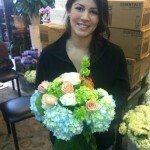 A special thanks to Ingrid who stayed up late the night before to make extra centerpieces I needed at the last minute. Anna Q.